Connors ignited the tennis boom in the 1970s with his aggressive style of play, turning his matches with John McEnroe, Bjorn Borg, and Ivan Lendl into prizefights. But it was his prolonged dedication to his craft that won him the publicÃ¢ÂÂs adoration. He capped off one of the most remarkable runs in tennis history at the age of 39 when he reached the semifinals of the 1991 U.S. Open, competing against players half his age. This autobiography includes original color photographs from the author. 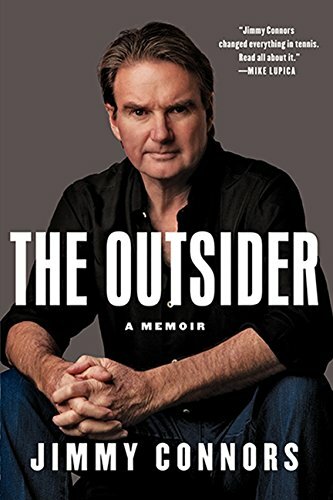 About: The Outsider is a no-holds-barred memoir by the original bad boy of tennis, Jimmy Connors.